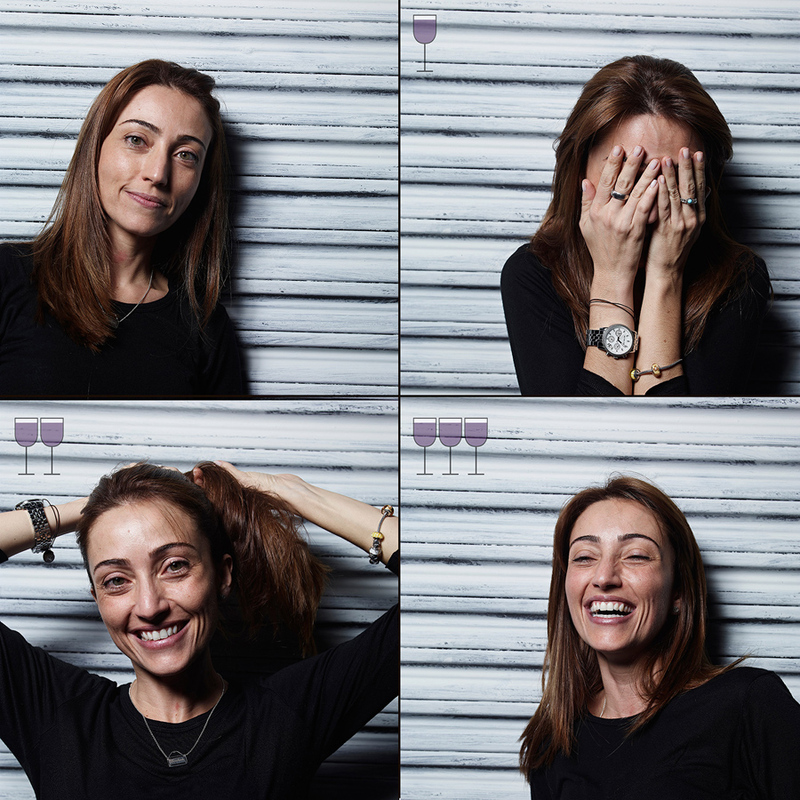 Brazilian photographer Marcos Alberti wanted to try to capture what his friends were like as they got progressively more intoxicated, so he decided to do it the way he knows best – by taking their photo. He devised a project where he invited friends to his studio and snapped a simple portrait of them as soon as they arrived, then fed them three glasses of wine and took an identical photo after each glass. Or should I say, as identical as his, now less inhibited, friends would let him. The results present an interesting timeline of individual tipsiness. Some people try to maintain their cool all the way through. Others have let completely loose by the end. And interestingly, for many of the people, the third photo – or the one after the second glass of wine – is the wildest. Maybe by glass three, some people started to get suspicious of Alberti’s intentions? At the very least, the photo series is a great excuse to drink wine with friends… you know, in the name of art.